The reader is laid all along and understands perfectly the candidate's objectives and background. 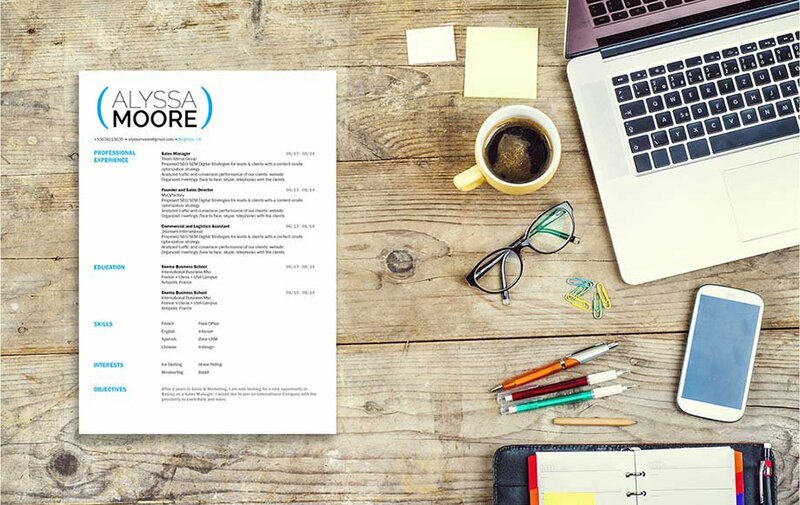 CV template to download "Fair"
The Fair Resume does an excellent job in highlighting each section of your cover letter! 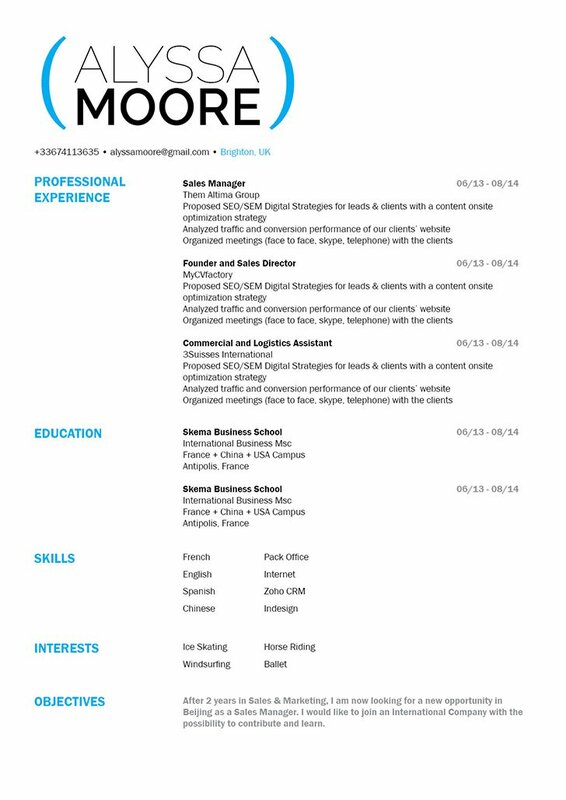 This is a good resume example that features a selection of colors, texts, style that gives this resume a design that is perfectly applicable to all job types out there and is ideal for applicants that have a solid set of qualifications such as yourself. All the key parts and the complementing sections are clearly presented with this resume and is sure to help you land that dream job! Identify your accomplishments, not just the job description. Hiring managers, especially in more technical fields like engineering or IT, look for candidates that can help them solve a problem or satisfy a need within their company. Of course, you can't be a solution to their problems without stating how you solved the problems in your past jobs. Focus on the relevant tasks that you did in those jobs, not what your job was—there's a difference. Include a one or two top line job description first, then list your accomplishments. Lastly, avoid using generic descriptions of the jobs you used to hold.